Hi everyone! 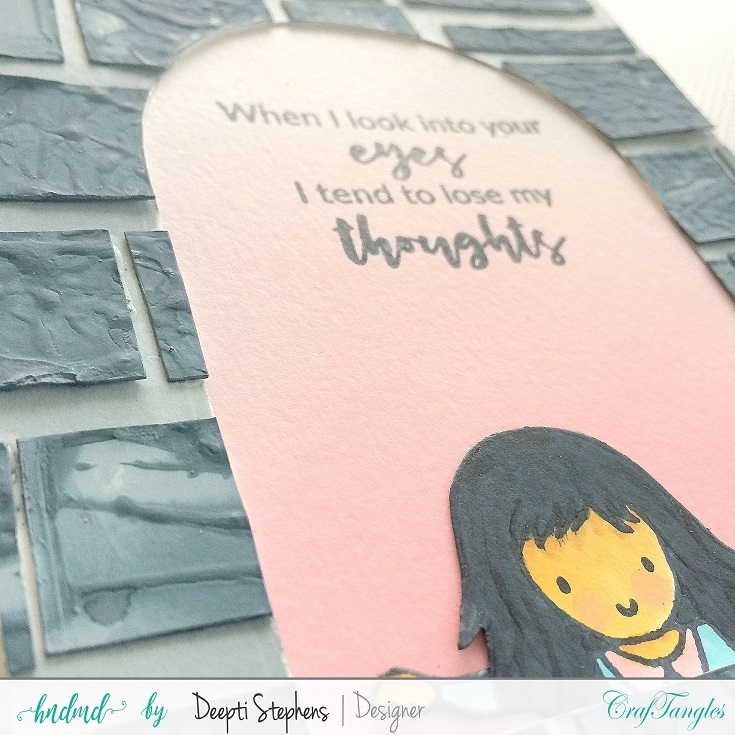 This is Deepti Stephens and today I have a very Sweet and Simple Mixed Media Card and how to video to share with you all. Did you notice the cement brick wall? How did you find it? How to achieve beautiful cement brick wall effect? Mix Texture Paste with Carbon Black Art Spray and apply the grey paste over the card base, give a little texture with a spatula and let it dry completely. Then cut the texture paper into strips to blocks and adhere over the card panel. You can simply apply the Cement color Texture paste and let it dry completely. Then cut into blocks and adhere over the panel. I started by die-cutting the panel with Catherine Pooler Tag die out of white card stock to form a window. I pre-stamped the image from You and Me stamp set in Memento Black Ink and colored it with Alcohol Markers from Sizzix. I ink blended the main card base with Worn Lipstick Distress Oxide Ink and this will be the back drop of the scene. Finally stamped the sentiment and adhered all the elements together with Tacky Glue. Yes I did love the texture of brick wall ! 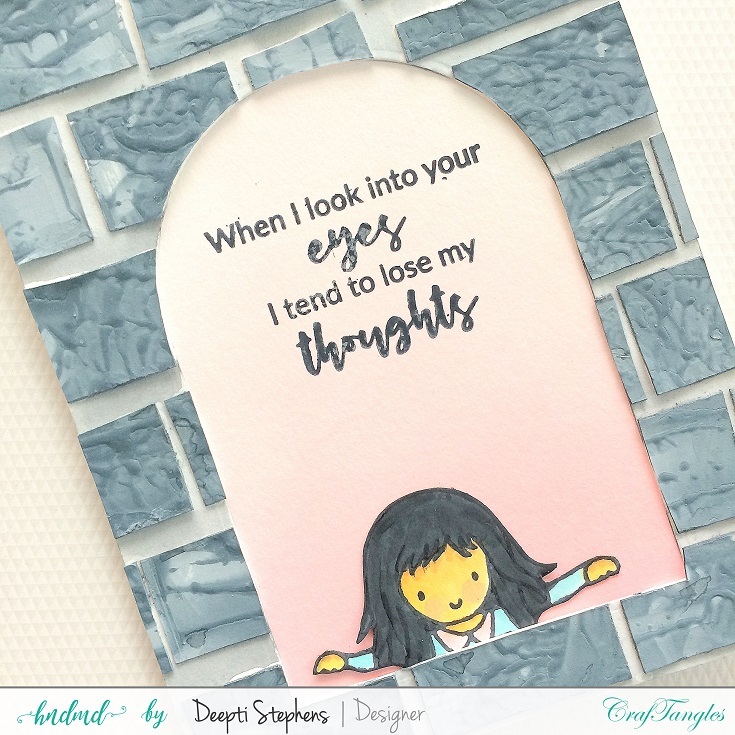 Wonderful card Deepti.